Incoming Waves, Ft Lauderdale, 6×6 oil on canvas board, ©2015 PJ Cook. 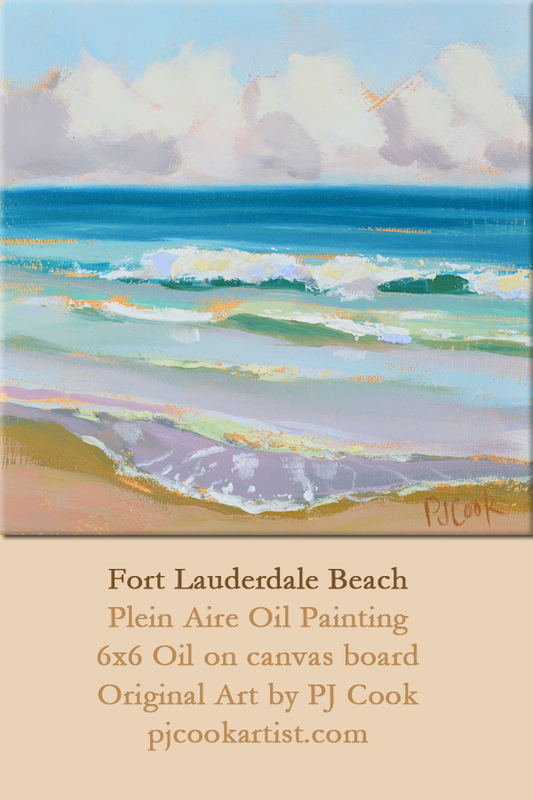 This original oil painting of Ft Lauderdale Beach was painted on location plein aire style. The tide was low as the waves started breaking further out. The wind was strong and I had to keep everything anchored down. I sat under an umbrella as I painted the scene of ocean waves.